Metal Brackets – Talan Products Inc.
Often packaged as “rights” and “lefts”, metal brackets can often be customized and are reversible. Typical materials that metal brackets are stamped from include aluminum, brass, carbon steel, copper, hot and cold rolled steel, galvanized metals and stainless steel. A long list of industries benefit from metal brackets, including construction, automotive, electronics, telecommunications, defense, commercial, architecture, dental and aerospace. 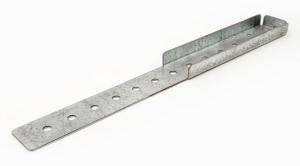 Since metal brackets are made as part of one continuous process, they are typically shortrun stampings, and are produced at a high volume over a short timespan. In the fourslide stamping process, presses with four moving slides are used, which allow the automated press to manipulate parts along both axis. This allows for multiple aspects of stamping, cutting and shaping on the metal brackets to be completed at one processing stage. There are quite a few different configurations of brackets, including L brackets, J brackets and box brackets. L brackets are the most common shape of metal bracket and are widely used in structural and decorative applications. J brackets are a simple construction and are often used in automotive applications as well as in conjunction with L brackets in structural applications. 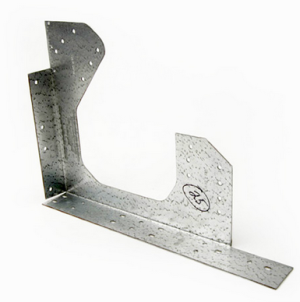 Box brackets, also called square brackets, are one of the strongest types of metal brackets. Metal Brackets Often used for decorative purposes, metal brackets can be powder coated in colors such as black, white, gray and almond to be more aesthetically-pleasing.